Venezuelan trombonist Angel Subero attended the Conservatorio Itinerante in Caracas, Venezuela where he studied with the legendary Michel Becquet. Since coming to the United States in 2001, he has attended the Boston Conservatory Of Music where he studied with Lawrence Isaacson and at the New England Conservatory of Music with Douglas Yeo. He also studied with John Rojak at the Aspen Music Festival. Mr. Subero has performed with the Boston Symphony Orchestra, the Boston Pops, the Pittsburgh Symphony Orchestra, the American Composers Orchestra, the Boston Modern Orchestra Project, the Iceland Symphony, the Boston Ballet Orchestra, the Starwars Symphony Orchestra, Naples Philharmonic, Albany Symphony Orchestra, the Boston Philharmonic, the Venezuela Symphony Orchestra, the Caracas Philharmonic, the Gran Mariscal de Ayacucho Symphony, among others. As a chamber musician he has appeared with the Burning River Brass, the Camerata Pacifica, the Atlantic Brass Quintet, Boston Symphony Brass Ensemble and Boston Pops Brass Ensemble. He is also a member of the award-winning Triton Brass Quintet, the brass ensemble in residence at the Boston Conservatory Of Music. He can be heard on the Triton Brass debut recording release in 2014 under the Hip-bonemusic record label. He has worked with such conductors as James Levine, Seiji Ozawa, John Williams, Kurt Masur, Keith Lockhart, Robert Spano, Sir Colin Davis, James Conlon, Rafael Fruhbeck de Burgos, David Robertson, Christoph von Dohnanyi, Charles Dutoit, Ingo Metzmacher, James Depreist, among many others. In the realm of Jazz, Latin and commercial music, Mr. Subero has appeared with artists such as Slide Hampton, Bob Brookmeyer, Jim McNeely, Claudio Roditi, Danilo Perez, New York Voices, Chris Botti, Rockapella, Boston, Temptations, The Ebonys, The Stylistics, The Manhattans, Jethro Tull, Oscar d Leon, Dimension Latina, Isaac Delgado, Jose “Cheo” Feliciano, Larry Harlow, La Clave Secreta, Rebel Tumbao, Greg Hopkins Bigband, Bonerama, Ensamble Gurrufio, and Serenata Guayanesa, among others. Mr. Subero is on faculty at the Boston Conservatory of Music and the Longy School of Music of Bard College. He is also faculty at the Atlantic Brass Quintet Seminar, where he collaborates with the members from both the Atlantic Brass Quintet and Triton Brass Quintet. 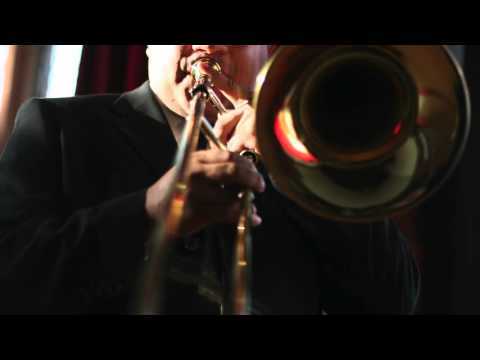 Angel Subero plays Edwards trombones exclusively and is a clinician and artist for Edwards Instruments Co. He has given master classes and recitals in the USA, Europe, Japan, Mexico, Colombia and Venezuela. He is a regular guest professor at the State Foundation for the National System of Youth and Children’s Orchestras of Venezuela “EL SISTEMA”.